Inventory shots of Best Buy's system revealed Virgin Mobile's USB broadband modem to have a home eventually on the shelves of the consumer electronics giant. BGR is reporting that someone has been doing some searching and successfully uncovered the first photos of it on Best Buy's image servers. 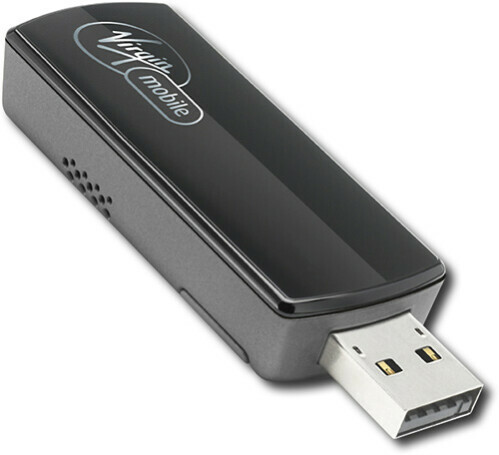 So far everything looks legit and this is what the USB modem will look like when it is released. Virgin Mobile is definitely stirring things up by possibly offering prepaid and postpaid options. No word yet on exact pricing for the plans or the hardware – but it's rumored to go for around $150 for the device.